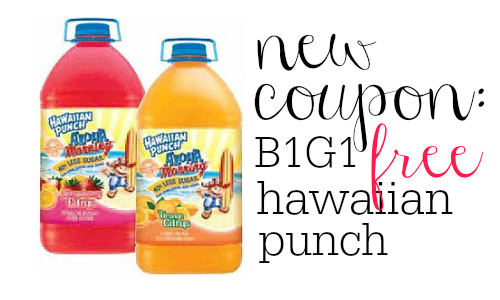 Print this new B1G1 Hawaiian Punch Aloha Morning coupon good for gallon size bottles! You’ll be able to grab Hawaiian Punch at Walmart for 96¢ each or hang onto the coupon and wait for a sale. The coupon won’t last long, so print it now. Makes it $1.92 or 96¢ each!